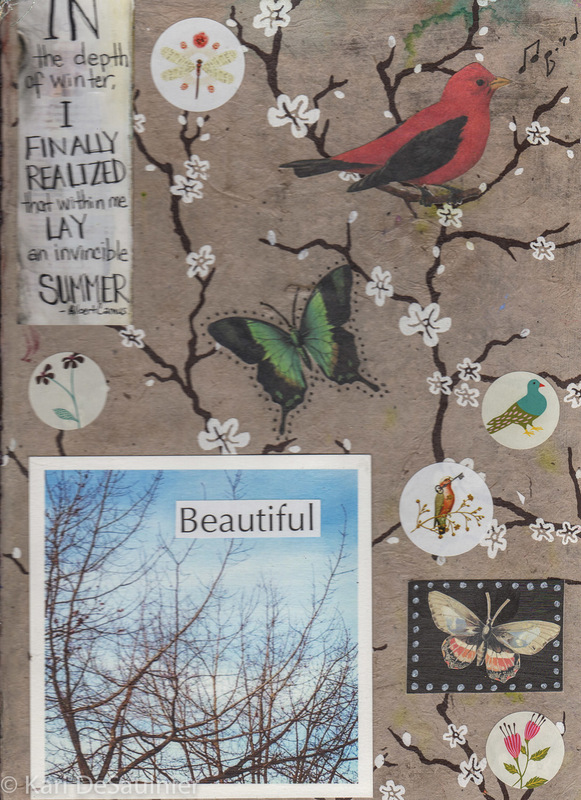 I just scanned and posted this whole art journal. I've worked on it since 2014 and it's still a bit of a work in progress. There are a few pages I haven't quite finished yet so I'll add to those later. Just click on the photo above to go directly to the page that the book is on and you can scroll through the slideshow. I wanted to add these now so that I have some documentation of my work and also the progression of my work. These pages are also a good example for those interested in taking my art journaling classes and workshops (I have a summer camp for teens and an adult workshop as well coming up in June! Check out the Classes/Workshops page for more information or contact me).